Why it matters: America is losing its position as the global arbiter for international norms — from airline safety to online privacy to the response to climate change. It's a trend that predates President Trump, but it's accelerating now — and it makes Americans beholden to the decisions of foreigners. Driving the news: The Boeing 737 MAX wasn't grounded last week because the U.S. took the lead. It was because the EU, China, and many other countries acted first, rattled by two plane crashes under similar circumstances. The U.S. response "undermined American credibility as the pacesetter for global aircraft standards, while potentially ushering in an era in which international regulators — particularly those in China and Europe — assert growing clout," as the Washington Post put it. And the U.S. is having trouble persuading other countries to follow its lead — especially on the Trump administration's efforts to block Huawei and other Chinese telecommunications equipment from being used in 5G. Global trust in U.S. leadership is near record lows, according to Gallup; 31% percent of people worldwide surveyed last year said they approve of U.S. leadership, lower than Germany and China. So on some of most consequential issues that will shape the world this century, the U.S. is taking a back seat, like privacy, foreign investment, climate and finance. Our thought bubble, via a sentiment Axios World editor David Lawler says he's hearing more often: When countries take action around the world, their first thought used to be, "What will Washington think?" China's goal is to make them think about Beijing just as quickly, if not before. this didn’t start with trump (remember obama’s "assad must go" and "russia must leave ukraine"), but it's sped up dramatically with his america first-style unilateralism, weakening us-led institutions that had already been eroding through neglect. the geopolitical balance in the world is changing fast; american perceptions of those changes, not so much. America's farmers are living through the worst economic crisis in almost 30 years, driven by low commodity prices, trade war pressures and record flooding, Axios markets reporter Courtenay Brown writes. Why it matters: U.S. farms are being ravaged by trends that are upending economies and regions around the world. That may make this heartland downturn different from ones before it. The booming economy isn't touching all corners of the country, and farmers in particular are facing a very different economic reality than the strong economic growth and low unemployment rates elsewhere. Downturns in farming are normal and almost expected. Trump's trade war, cutting demand for commodities from foreign buyers, has made this time more painful — despite $7.7 billion in Agriculture Department aid. Extreme weather, like the record flooding in the Midwest, adds uncertainty. The chill between First Ladies Nancy Reagan and Barbara Bush was no secret. But Susan Page found fascinating new evidence for a biography, "The Matriarch: Barbara Bush and the Making of an American Dynasty," out April 2 from Twelve. The document shown above is being shared for the first time with Axios. 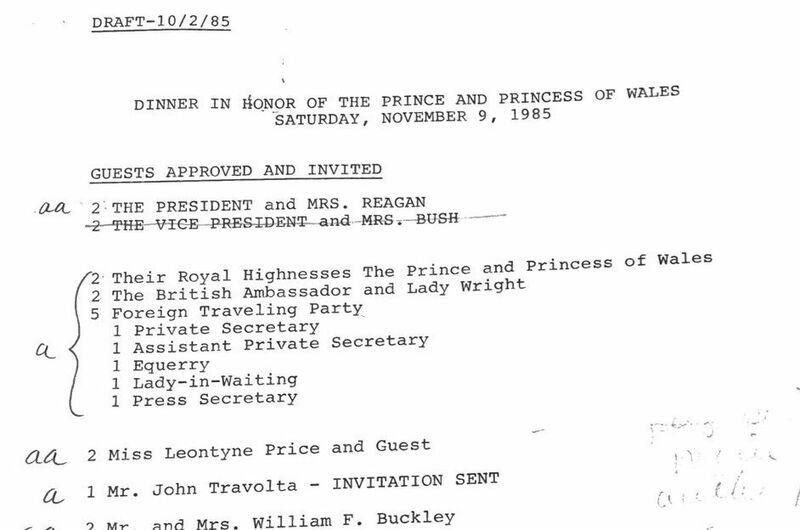 It's the draft guest list for one of the biggest social events of the Reagan presidency — the White House dinner during a 1985 royal visit by Prince Charles and Lady Diana. The dinner included "superstars of film, television, ballet, music, sports, science, the arts and New York society," the N.Y. Times reported. But Page, USA Today's D.C. bureau chief, reports that Nancy Reagan personally struck Vice President George H.W. Bush and his wife from the guest list. Page interviewed more than 100 people for the book, including both Presidents Bush, First Lady Laura Bush, President Clinton and Hillary Clinton, as well as numerous other family members, friends, and colleagues. Page met with Barbara Bush five times, talked with her for hours, and was given rare permission to read all of her diaries, which go back to 1948. Her final entry was 12 days before her death, one year ago at age 92. In "The Matriarch," Page tells about the time a hippo appeared ready to charge the former first lady while she was on a photo safari with two granddaughters, private equity titan David Rubenstein and a few others in Kenya. While the Secret Service debated whether to move Mrs. Bush out of the way, she stood her ground. At the end of their first interview, Barbara Bush suggested a title for Page's biography: "The Fat Lady Sings Again." 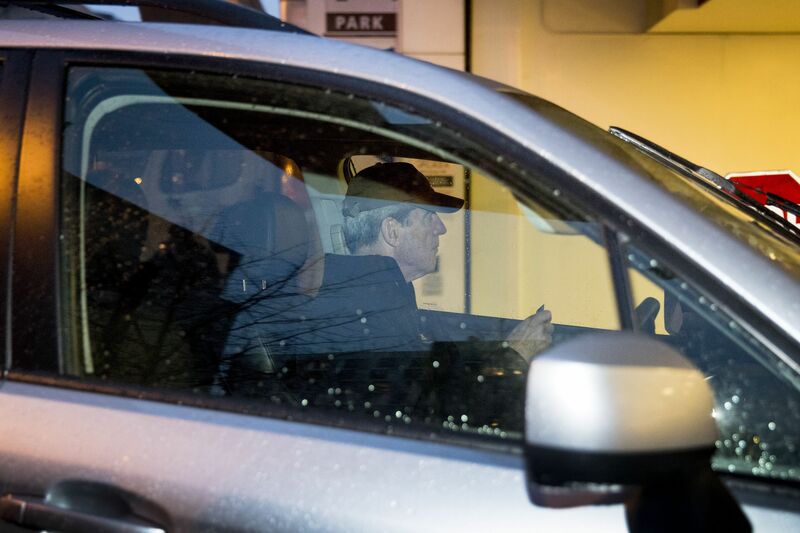 Above: Special Counsel Robert Mueller arrives at his office building yesterday. 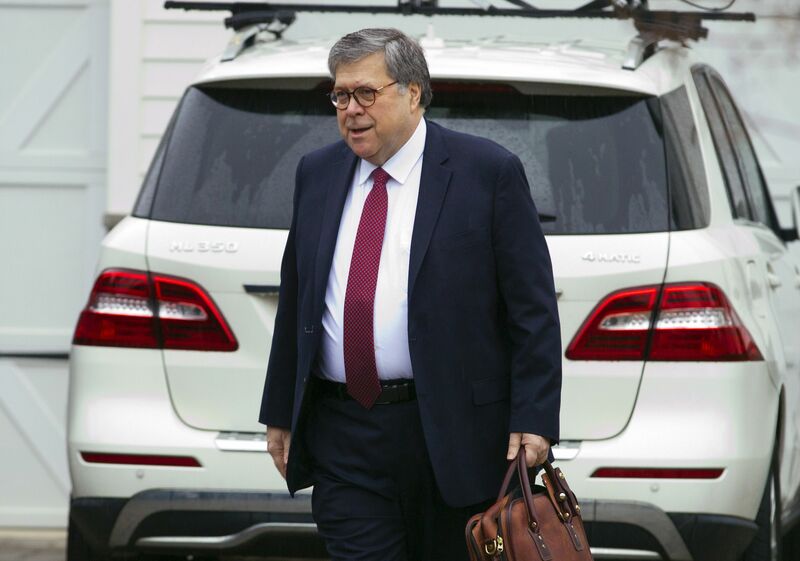 Below: Attorney General William Barr leaves his home in McLean, Va. The president’s tweet calls for a change in U.S. policy toward the Golan Heights but does not actually declare it. There are many reasons for the president not to turn his tweet into policy. 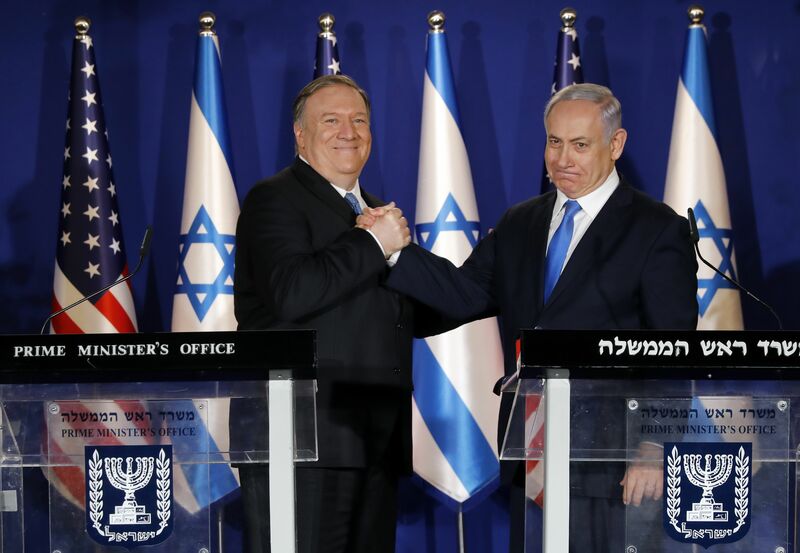 It would all but eliminate what little chance exists for peace between Israel and either the Palestinians or Arab states, such as Saudi Arabia. "As AI takes off, demand for information is exploding, making data a new and valuable resource. Yet vital questions remain: who controls the data? How should the profits be distributed?" 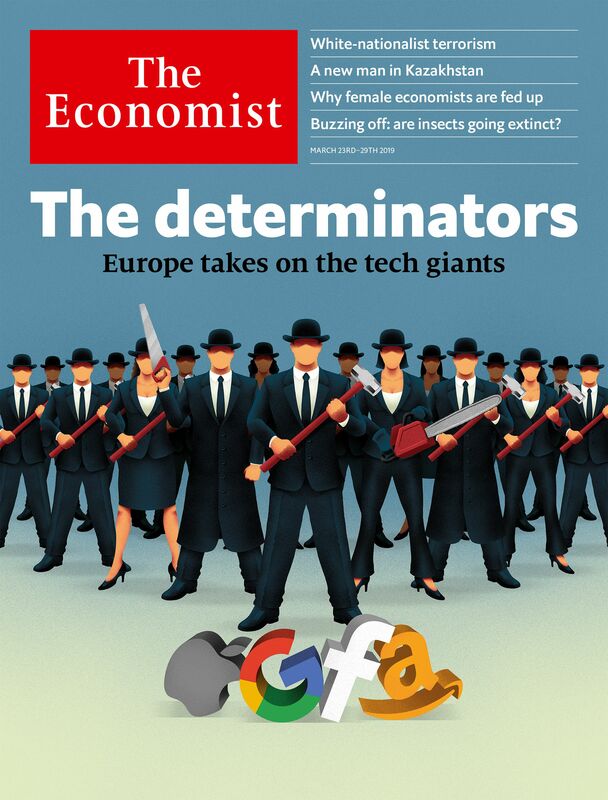 "The idea of the [European Union] taking the lead on these questions will seem bizarre to many executives who view it as an entrepreneurial wasteland and the spiritual home of bureaucracy." "Wealthy parents have been going to great lengths to help their kids get into elite universities for years. But [the college admissions cheating scandal] in the helicopter-parenting era indicates a willingness to go to greater extremes," writes the Los Angeles Times' Benjamin Oreskes. Parenting experts "say the win-at-all-costs attitude can have a pernicious effect on a child. When they try to clear the way for their children’s success, parents are essentially saying to their kids that they can’t do it on their own, a stance that may block the path to successful adulthood." The bottom line: Author and teacher Jessica Lahey told the Times, "When we do too much for our kids, and we tell them what to do every step of the way, they never build up a tolerance for frustration. ... The problem is that kids who can’t be frustrated don’t learn as well." For the first six decades of AI's development, the biggest question facing researchers was whether their inventions would work at all. Now, the field has entered a new stage of introspection as its effects on society — both positive and damaging — reverberate outside the lab, writes Axios' Kaveh Waddell. What's happening: As the tech world reels from a hailstorm of crises around privacy, disinformation and monopoly — many stemming from decisions made 30 years ago — there's a sense among AI experts that this is a rare chance to get a weighty new development right, this time from the start. Driving the news: Stanford trotted out some of the biggest guns in AI to celebrate the birth of its new Institute for Human-Centered AI on Monday. The institute's co-director, John Etchemendy, told reporters that technologists had to learn from their "naive" attitude during the internet's early days: "We all imagined that it would allow everybody to have a voice, it would bring everybody together — you know, kumbaya. What has in fact happened is just frightening." "Just over half of Americans between the ages of 18 and 34 — 51 percent of them — said they do not have a steady romantic partner, according to data from the General Social Survey released this week," writes the Washington Post. "That 2018 figure is up significantly from 33 percent in 2004 — the lowest figure since the question was first asked in 1986 — and up slightly from 45 percent in 2016." "The shift has helped drive singledom to a record high among the overall public, among whom 35 percent say they have no steady partner, but only up slightly from 33 percent in 2016 and 2014." 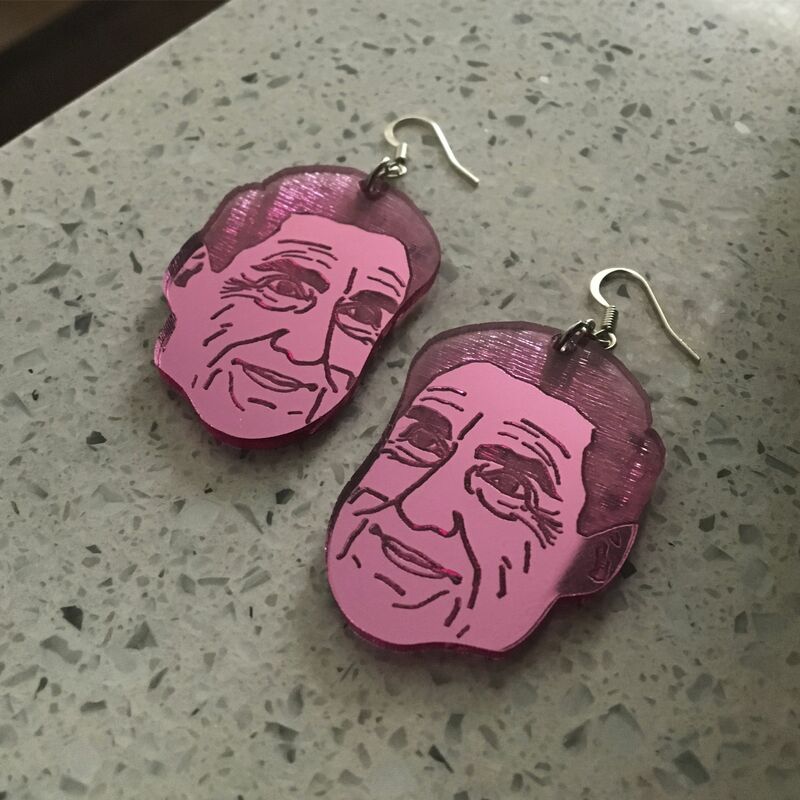 You can buy Mueller paintings, prayer candles, valentines and ornaments. A necklace, earrings, keychains. A stuffed toy of Mueller in a Superman outfit, cross-stitch patterns, baby onesies — even a wall-hanging of his haircut. Alicia Barnett of Kansas City, Kansas, named her new chocolate lab after Mueller: "He gives me reassurance that all is not lost. ... I admire his mystique. I admire that I haven't heard his voice." Why it matters: For devoted Democrats, Mueller, a registered Republican, "represents calm in the face of a storm, quiet in a city of bombast."